Update 3.45 pm. Jelena Dokic was the name on everyone’s lips on the final Sunday of the AO Play-off; however, it was Olivia Rogowska who stood tallest by day’s end, accounting for her older opponent 1-6 7-6(3) 6-3. 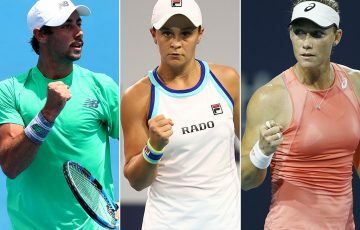 In a match where the conditions appeared relatively sedate to begin with, Dokic was in her element, breaking her younger opponent to open the match. From the outset, Dokic’s intensity was relentless, paving the way for the top seed to sweep through the first set and overwhelm Rogowska entirely. Evidently feeling overpowered, the Rogowska game was riddled with unforced errors, contributing to her early decline. Improvement in her movement and a powerful first serve allowed Dokic to go ahead 4-1, eventually closing out the set with the loss of only a single game. In the second set Dokic promptly went ahead 3-1, yet Rogowska refused to bow to defeat. She mustered a comeback, breaking the top seed to level at 3-3. With a newfound spring of confidence in her step, Rogowska went head to head with the more experienced Dokic, whose clinical serving was almost flawless. At 4-4, three straight aces allowed Dokic to take a 5-4 lead. Serving to keep her wildcard hopes alive, Rogowska saved her first match point with an unreturnable serve. Displaying some mental fortitude far beyond her young years, Rogowska took the set to 5-5 with some impressive tennis. However, the pressure was once again on her racquet after Dokic took a 6-5 lead. After making two straight errors to open the following game, the future appeared grim for the Victorian. She eventually committed four forehand errors, and found herself down match point once again. Courageously, she struck her forehand emphatically on match point, mustering a winner past Dokic to send the set to a tiebreaker. In a similar fashion to the entire match, the tiebreaker began at lightning pace with Dokic breaking early and Rogowska breaking back almost straight after to level at 3-3. Then the rain came. Emblematic of the fast-paced nature of the match, players and fans rushed off the court as swiftly as the skies opened. When play finally resumed, Dokic’s game almost vanished, making two straight backhand errors to give Rogowska her first set points. 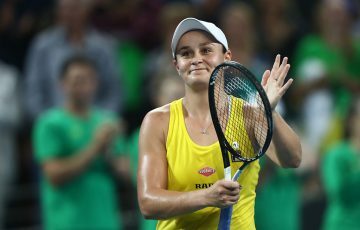 She took the breaker with the loss of only three points, sending the match into a decider. From then on, the once steady Dokic was rattled. She saved break points in the second game but could do little to halt her opponent’s momentum. Her erratic play contributed heavily to her demise, which was crystallised when she failed to make a single return to go down 5-2. Surrendering only one more game, Rogowska finally sealed her comeback victory 6-3, ensuring her place in the main draw of the Australian Open. 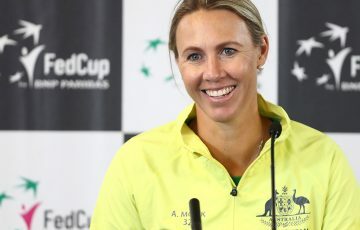 Following the match, a dejected Dokic promised to work hard over the summer in order to gain entry into the Australian Open. 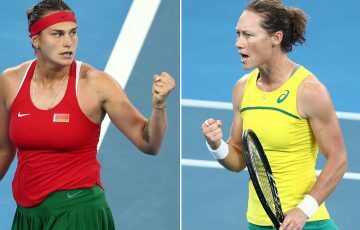 While a wildcard still seems likely for the Yugoslavian-born Australian, Rogowska is a certain entry into the Open, which brought nothing but joy to the youngster. Rogowska, however, has faced her share of difficulty in the past, particularly after a number of puzzling losses prior to this tournament. 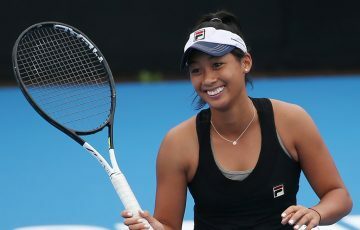 “Coming into the tournament I didn’t have the best result, I had a couple of tough losses, so I was just feeling a little down, so I decided to come out this week and really give it my best shot and just take it one match at a time. 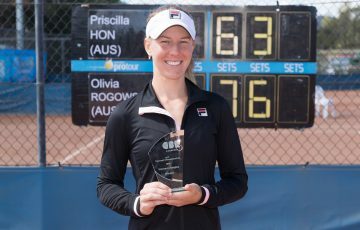 For the summer, Rogowska hopes that this win will earn her wildcards into some of the other key lead-up events prior to the Australian Open. 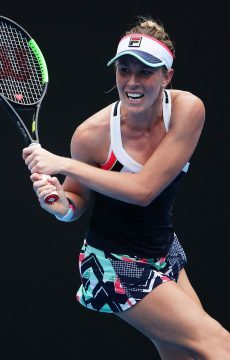 No matter what lies in the immediate future for Rogowska one thing will remain certain – we will see more of the teenager during the Australian Open beginning on 17 January.